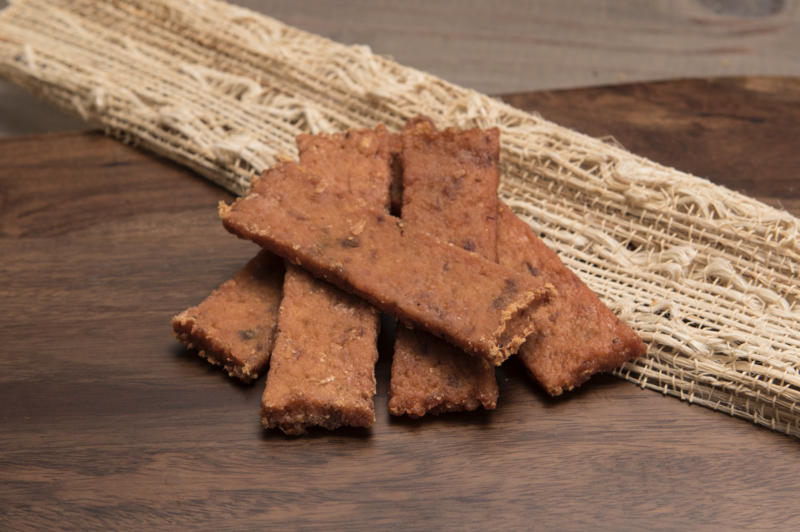 Treat your good pup to one of our Salmon Jerky Strips! Perfect for tearing up into pieces or offering whole as a reward for a good day’s work. You won’t find any added sugars or cane molasses in this savory treat – just 92% salmon and 3% strawberries as well as patented probiotic GanedenBC30 to keep your little athlete’s tummy feeling 100%. Salmon, Strawberries, Coconut Glycerin, Distilled Vinegar, Citric Acid, Dried Bacillus coagulans Fermentation Product, Mixed Tocopherols. 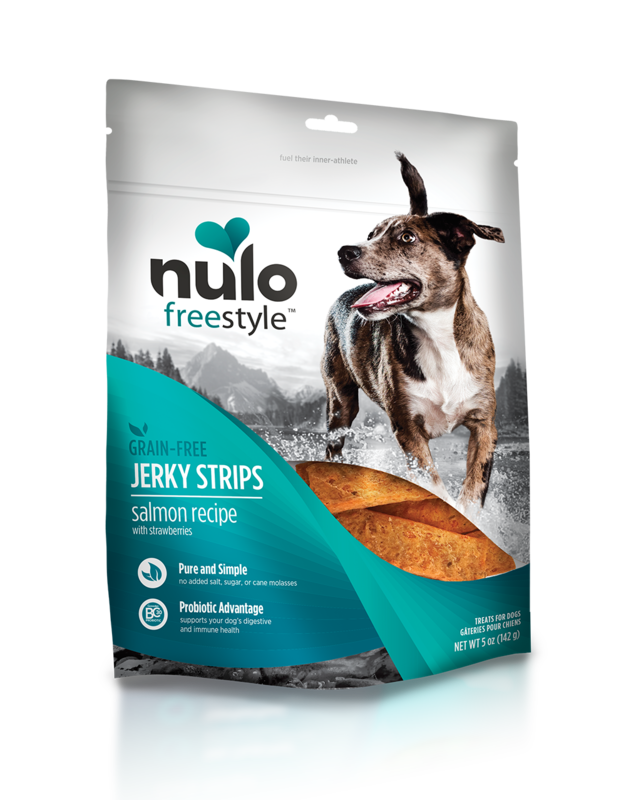 FreeStyle Jerky Strips Salmon Recipe with Strawberries are intended for intermittent or supplemental feeding only.